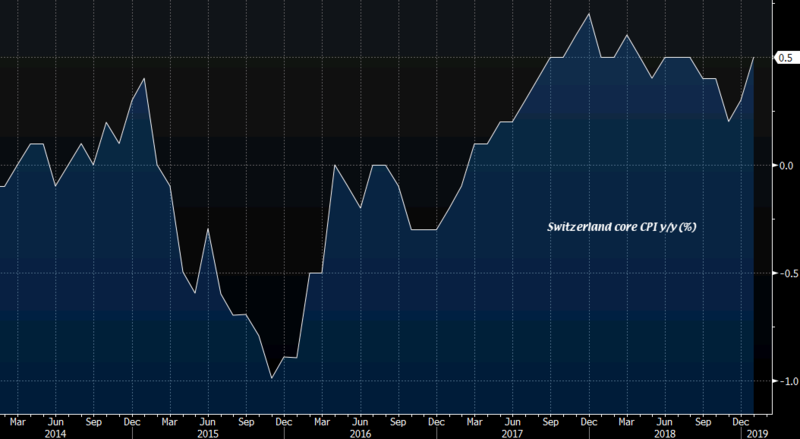 Annual headline inflation slips to its lowest level since February last year but the positive news for the SNB is that core inflationary pressures are actually showing signs of a recovery as it rises to a five-month high. That said, it remains unclear how sustainable the core reading will be in light of weakening inflationary pressures as a whole in Europe so I wouldn't be too excited by the release here. USD/CHF holds at 1.0002 near flat levels on the day after the earlier "flash crash" and recovery. According to Bloomberg, the SNB has declined to comment about the incident when contacted earlier.